Given today’s landlord-friendly market, it seems like the right time to spike up rents. But high rent doesn’t always translate directly into profits, especially if the property is overpriced. Pinpointing the correct rent figure requires more surgical precision. That’s because high rent can trigger some unexpected losses. One consequence is a month or more of vacancy, which pretty much puts profits back at par. A more insidious consequence is that high rent –and prolonged vacancies — actually attract more bad tenants. It may seem that only good tenants will apply for a high-end property. But that is simply not the case. High rent doesn’t always mean high value. Good tenants — the ones who can qualify for any number of properties — still shop for the bargains. Bad tenants, on the other hand, have nothing to lose by overshooting their means. They’ve probably been rejected elsewhere, and in a tight market, these applicants are more likely to overstate their qualifications. Besides, it’s not like a chronically bad tenant is planning to pay the rent anyway. A landlord in an overpriced property will get attention. It just isn’t the right kind of attention. 1. A+ ratings. Ratings and reviews regarding the condition of the property and the service provided by the landlord translate directly into profit — or losses. Provide the best service, and your efforts will be rewarded. Allow your online reputation to build organically. It’s fine to encourage happy tenants to comment or offer reviews, but offering concessions to tenants who in turn “like” you can backfire. Having no comments is better than contrived ones. Keep tenants happy. One bad comment can deter prospective tenants, unless that is overshadowed by a myriad of genuine accolades. Respond to online criticism in a positive, professional manner. Do not use the forum to call out a disgruntled tenant. Revealing that tenant’s name, providing personal or derogatory information, or blaming the reviewer only serve to make the management look bad to prospective tenants. Make an effort to resolve problems, but do it early in the process so the dispute does not end up being aired online. 2. Add the right amenities. The most popular amenities today don’t have to cost much. They just require a little commitment. When choosing amenities, look at supply and demand. For instance, in today’s market, the majority of renters want smoke-free housing. They’ll pay extra for it. Yet, a large number of rental properties remain cigarette-friendly. The same is true of pets. The majority of good tenants — some of the most responsible people — want to keep a pet. The majority of landlords don’t want to deal with animals. These are two market niches that justify a higher rent. Other sought-after amenities include solid security features like safe parking, and energy savings features that significantly lower utility bills. 3. Well-planned remodels. Upgraded properties will always attract the best tenants. But, be careful where you put your remodeling dollars. It’s easy to go overboard with high-end finishes and not get any actual bang for the buck. Upgrades should be tied to tenant comfort. Appliances are one of the best investments for tenant satisfaction. Read the product reviews before you act on price or brand name. Find out if that new high-efficiency washer routinely leaves clothes sopping wet, or if the dishwasher takes half the night to cycle. Functionality beats aesthetics. A breakfast bar where tenants can have a quick bite without dirtying the kitchen table is a great upgrade. What it’s made out of is a secondary consideration, so long as it is durable and low-maintenance. High-efficiency windows are another great upgrade that cut down on noise as well as heating or cooling costs. Tenants want turnkey. After all, that’s the main reason people choose to rent — so they don’t have to spend all their time worrying about their living space. 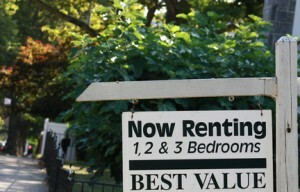 Tenants will pay more for a rental home that improves their quality of life.